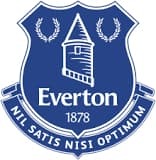 Everton in the Community is one of the UK`s top sporting charities and considered one of the Premier League`s leading community schemes due to the quality and reach of our various programmes. Since 1988, Everton in the Community has been at the forefront of social innovation across Merseyside, not afraid to tackle the most serious issues in our society. We use the power of sport to motivate, educate and inspire people, not just in our local communities but around the world, to improve their life chances. You will work closely with the Chief Executive and other Directors to shape and take a lead in the delivering the growth of strategy for the Charity. You will be responsible for the management and growth of the Charity`s revenue streams through its existing fundraising initiatives, corporate partnerships and lotteries products and through the development of new products and services to support the growth of the Charity. To contribute to growth of our programmes, by working alongside our programme directors to identify opportunities for new programmes or expansion of existing work. Working alongside marketing and communications colleagues to drive new opportunities and enhance the profile and reputation of the Charity. Working with our CEO, Engagement and Neighbourhood teams to deliver the Goodison legacy project – a community-led regeneration project for Goodison Park. This is an exciting opportunity for someone who really wants to make a difference in a sporting charity, if you would like to find out more about this role then get in touch today. Reach thousands of visitors and potential candidates every day. © 2019 TheStadiumBusiness News. All Rights Reserved. Website by Glen Wheeler Ltd.
All the latest Stadium Business news, blogs, videos, and up-to-the-minute media coverage from all the leading voices in the Stadium Business industry, all in one place. Curated and brought to you by the TheStadiumBusiness Summit.